Float labels are cool for small screens and can be awesomely animated by breaking down the labels into individual characters and then playing around with it. In this walkthrough, when the user focuses on an input field individual letters are animated into an HTML fieldset like feel using jQuery. Super cool effect and very very nice code !! It is awesome the way the wirting goes up. Hey Can you please tell me Where to put Animation code ? very cool. 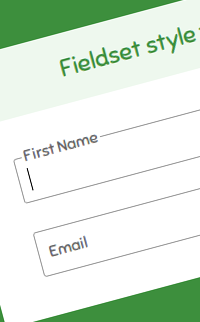 btw, i added your codes to my sample form that i created.. If you would like to observe the activities occurring inside your office surveillance cameras take action for you. camera has added two new innovative cameras in the portfolio including E-P3, and E-PL3. think it is here, try one of the following sections. com in which you also have some nice reviews and more description for this digital waterproof camera.